Dominion’s Reine Swart stars in The Lullaby, a horror flick based on South African folklore, due out March 2nd from Uncork’d Entertainment. Congrats on a big year for The Lullaby. Do you remember the day you were pitched the film? I remember the audition and casting room very well. I came there and I saw that I was the only one that looked like a train just hit me. Of course I thought, did I miss something, but tried to not think too much as I was already there. When the producers called the next week and said they aren't doing any more auditions or any callbacks as they would like to offer me the part of Chloe in The Lullaby, I was thrilled that I went in a different direction than the norm with the audition. It doesn't always help to go the opposite direction with auditions, but in this case it did. When I got the script, I must confess that some of the scenes freaked me out, but I immediately started doing research on postpartum psychosis and from the start decided not to judge my character. Are there any other movies you think yours is reminiscent of? I think of Rosemary's Baby, but it is definitely the first film bringing the South African folklore “Siembamba” to life. The film is a good mix of genres - how did you initially describe the tone? I would say it has an “artsy psychological horror” tone initially. How alike are you to your character? We are not alike in most ways, because of different environments. For example, poor Chloe grew up in an unhealthy household, whereas I was fortunate enough to grow up in a wonderful household. I would hope I am as determined as Chloe in some cases. How hard is it to stage tension in a movie? A lot of that, I imagine, happens on the day with a mix of sound and effects? That is all the director, Darrell Roodt, who is just a brilliant artist and filmmaker. Darrell guided everyone from the cast to the crew on the pace and how he wanted the tension to grow. Yes it definitely happens on the day and in the moment, and also post production like you mentioned is very important. Can you talk about the original name of the movie and its significance? This is a terrible lullaby that Afrikaans people still sing to this day. 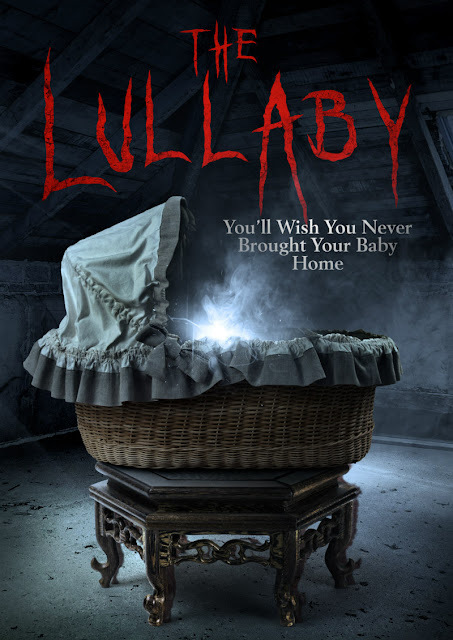 What do you think of the new title, The Lullaby? It's great! The new title is more universal and more people over the world will understand it. What do you think audiences will like best about it? What I hope they take away from it, is not to judge women with postpartum psychosis, because it is real and scary. That's how I see the film, but everyone will see it in a different light. I think I'll be doing a character with some sort of “gift” or the opposite “disadvantage” in life. What do you love most about the horror genre? The element of surprise. What a fun and out of this world genre!